Applications for funding to help make the South Bend-Mishawaka area a tourist destination now are being accepted. 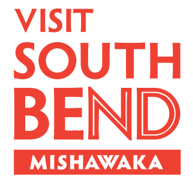 Applications for the 2019 Visit South Bend Mishawaka Tourism Capital Development Fund will be accepted through Jan. 4. The fund, which is supported by the St. Joseph County Hotel-Motel Tax Board and Visit South Bend Mishawaka, has $400,000 available to benefit the advancement of St. Joseph County as a tourism destination. Many projects will receive funds to improve visitor experience while also providing assistance to boost tourism product development. Funds are intended for capital investment projects. Applications seeking support for programs or fundraising assistance will not be considered. Applications being considered for funds will be notified by Feb. 15. Finalists will be asked to participate in a Q&A session with the review committee. Visit visitsouthbend.com/basic-info to review guidelines and to out an application.